25th September 2014, Mumbai – Sony India today announced the launch of its most powerful flagship smartphones to date, Sony Xperia Z3 and Z3 Compact, in India. 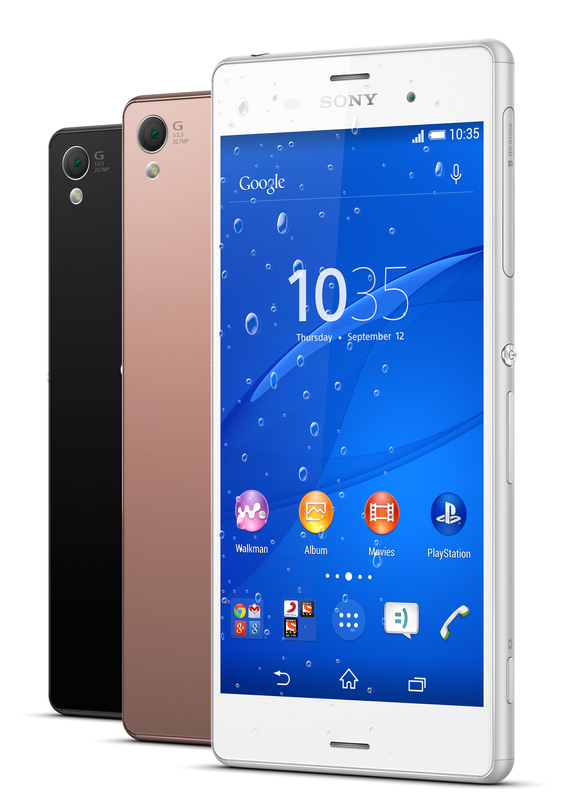 The Sony Xperia Z3 and Z3 Compact have been priced at Rs. 51,990 and Rs. 44,990 respectively. The latest Flagship Smartphones from Sony, which received rave reviews at their global unveiling at the IFA in Sept, 2014, will be available from 25th Sept, 2014 onwards at over 10,000 retail outlets across India. Taking into consideration the strong lifestyle connect in premium smartphones, Sony has introduced exciting new bold and trendy colours, including Copper for Z3, and Orange and Green for the Xperia Z3 Compact, in addition to the classic black and white colours. Both smartphones are powered by the latest Qualcomm Snapdragon 801 processor with 2.5 GHz quad-core CPU, supported by 3GB RAM and 4G LTE modem for lightning fast browsing, immersive multimedia browsing and stunning visuals. The new smartphones offer a 20.7MP CMOS sensor camera with a 25mm wide angle lens and ISO 12,800 light sensitivity, offering an unparalleled experience of smartphone low light photography. The 5.2 inch Xperia Z3 comes with a 7.3 mm super slim rounded aluminium frame and weighs just 152 grams. The 4.6 inch Z3 Compact packs all the path-breaking features and uncompromised performance of Xperia Z3 in an 8.6 mm compact frame that weighs only 129 grams. The Sony Xperia Z3 and Xperia Z3 Compact can capture video in 4K resolution with SteadyShot technology for stable videos and offer an ultra-bright triluminos display, unsurpassed audio with DSEE HX audio upscaling. For audio enthusiasts, the Xperia Z3 and Z3 Compact offer unmatched audio playback with options of hi-res audio, digital noise cancellation, DSEE HX audio upscaling, and front facing stereo speakers with S-Force Front Surround play. These are also the only smartphones to offer PS4 remote play that enables using them as a remote screen to connect to and control games on PS4. Both models also offer the highest levels of waterproofing in compliance with IP 65/68, and up to two days battery life.